The affiliation of Sacré-Cœur hospital and the Université de Montréal in research and teaching incites staff members to exceed themselves and to update their knowledge on a continuous basis. The institution’s enviable reputation in the healthcare network also cultivates a taste for excellence. The objective of the Gala des Émilie is to collect funds, but also to recognize the work of exceptional people who strive to improve care. In part due to their commitment, they make Sacré-Coeur hospital shine on the national and international stages. Émilie statuettes are awarded to highlight the achievements of those individuals. 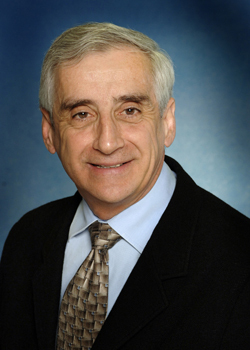 Dr Bernard Lespérance began his career at the hemato-oncology department of the Sacré-Cœur hospital of Montréal. From the moment of his arrival, he involved himself with the teaching clinic for residents and external students. Dr Lespérance is also one of the regular researchers at the hospital research centre. In 1990, he set up the hemato-oncology research clinic with Dr Jean-Pierre Moquin. Over the years, he participated in over 100 clinical trials in phases 2 and 3 in various spheres of oncology. Mindful of transferring his knowledge accurately, he developed CD-Roms teaching aids and participated in the creation of websites in the field. In 1993, he helped redesign the hematological sciences course of the Université de Montréal and was awarded the Méritas prize by first-year students for this same course. Amongst other well deserved honours, Dr Lespérance also received the Certificat de mérite by the Canadian Association for Medical Education in 2006 and, in 2013, the Certificat de reconnaissance de l’Hôpital du Sacré-Cœur de Montréal for the establishment’s 40 years of university affiliation. Since 1999, Dr Lespérance has been developing a web and mobile platform that is used by more than 7,000participants in Québec, most notably for treatment algorythms, chemotherapy protocols, and archived educational conferences. For this contribution, the Fédération des médecins spécialistes du Québec awarded him the 2015 Gilles-Hudon prize, which recognizes pioneers, builders, and innovators who helped advance ongoing professional development by way of educational processes, resources or tools. Along with all these prizes, he is also recognized for his friendliness and commitment to the improvement of patient care. Mr. David Williamson, has participated in teaching since he first began his career at Sacré-Cœur hospital as a pharmacist in 1999. He has adroitly guided over a hundred graduate and post-graduate students. In collaboration with the Jewish General Hospital, he developed the first specialized residency program for critical care pharmacotherapy. Another of his major achievements was his participation in the training of local and foreign interns and pharmacists (French, Swiss, Belgian and Spanish). 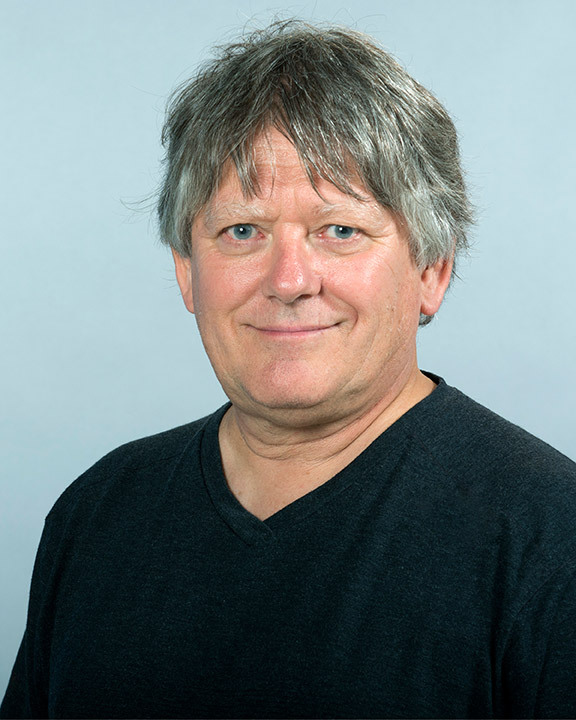 Mr. Williamson is a regular researcher at the Sacré-Cœur research centre and recipient of a career research grant (scolarship clinician since 2016 with the Fonds de recherche du Québec –Santé). He has published more than 40 articles in industry periodicals revised by peers (Intensive Care Medicine, Critical Care, Chest, etc.). He has also published 27 book chapters and presented about 50 posters at national and international congresses. In his work place, he has given many conferences and training sessions at the pharmacy department, nephrology service, department of medicine, intensive care unit, etc. He has also taught outside Quebec and abroad. Assistant clinical professor at the faculty of pharmacy at the Université de Montréal where he has been teaching since 2002, he was promoted to the position of clinical professor in 2014. Since 2016, Mr. Williamson has been the co-director of the master’s program in advanced pharmacotherapy of the pharmacy faculty. The quality of his teaching, the innovation in his course material choices, his collaborations, and the warmth of his welcome for interns make of him an exceptional individual. 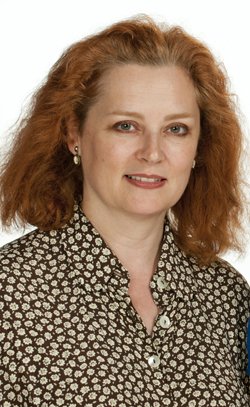 Dr. Julie Carrier is a full professor at the psychology department of the Université de Montréal. She has been a researcher at Sacré-Cœur hospital since1999. These past 17 years have seen her scientific activities supported by the major provincial and federal funding bodies. In 2012, she received the Bourse de chercheur nationale (national researcher grant) from Québec -Santé. This prestigious grant is dedicated to a very limited number of experienced researchers in Quebec. Her work has helped identify various key mechanisms of the effects of ageing on the sleep-wake cycle as well as their consequences on physical and cognitive health. Her research also looks into cerebral sensibility to light, the developmental aspects of sleep in children, and the role of sleep in cognition. Her leadership manifest itself not only in her scientific output (over 40 articles and chapters in published books) but also in the various presentations she has given at universities and national and international scientific congresses (over 85 scientific conferences). Dr. Carrier has taught 27 graduate and 4 post-doctoral students, as well as over 50 interns in research at the bachelor level. Many of her students still work in the field (post-doctoral research, research co-ordinator, etc,) in Canada, the U.S. and Europe. In 2013, Dr. Carrier created the Canadian sleep and circadian network (CSCN) bringing together 60 researchers from 19 Canadian universities, as well as a number of players from the community, governmental, and private sectors. Dr. Carrier has been often interviewed in the media, has given a number of conferences, and does not hesitate to share her vast knowledge when given the opportunity. Her objective is to create a repository of knowledge stemming from the advances and discoveries of the Centre for advanced research into sleep medicine(CARSM) of Sacré-Cœur hospital to make this knowledge more easily accessible to the public, to patients, and to interested parties. Mr. Pierre Lespérance left the board of directors of the Montréal Sacré-Coeur Hospital Foundation in May 2016. He sat on the board as a volunteer for 25 years and as its president from May 1995 to May 1998. The MSCHF’s first major fundraising drive was organized in 1990. Mr. Lespérance lent his support to this grand undertaking upon his very arrival on the board of directors in 1991. He and the administrators of the time helped make this project successful and the MSCHF progress. The campaign objective was to collect $5 million to expand the research centre (phase II), to acquire a nuclear magnetic resonance apparatus, and buy medical equipment. 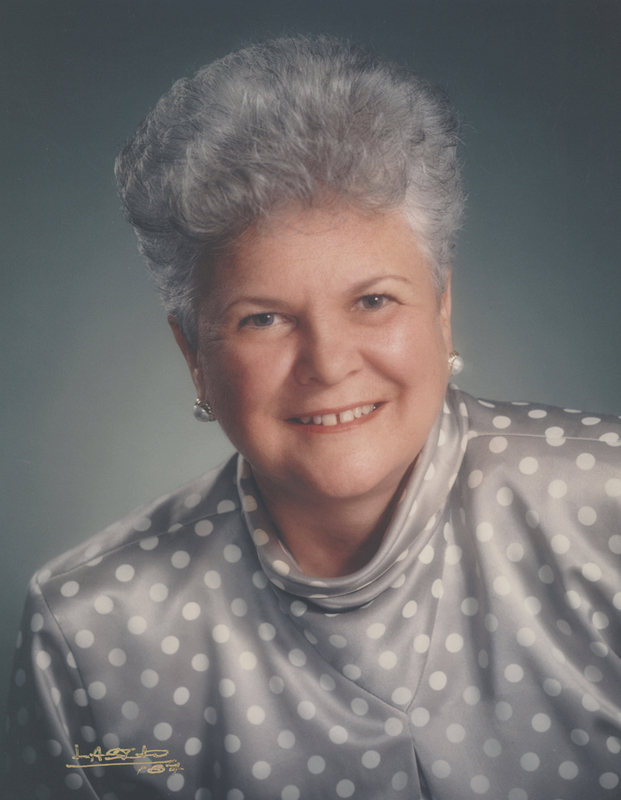 This campaign, conducted under the guidance of the Honorary Co-chair, the late Robert Bourassa, then Prime Minister of Quebec and MNA for Saint-Laurent, as well as the president of Guillevin International, the late Jeannine Guillevin Wood, achieved great success and the objective was far surpassed. Mr. Lespérance has been a loyal contributor and donor for the past 25 years. Through his business, as well as through his personal donations, he has graciously offered books that were then given to fundraising event participants. It is thanks to the family business founded in 1958, Les éditions de l’homme, left him by his father Edgar, that Pierre was able to make his name in the business world. Afterwards, this publishing house and a few others joined together under the name, Groupe Sogides, the most important book publishing and distribution concern in Quebec. The company was acquired by Québecor Médiain 2005. Mr. Lespérance continued in his capacity as president of Groupe Sogides the eight years following its acquisition by Québecor. Mr. Lespérance worked in the field of publishing for over 55 years before taking a well-earned retirement just a few years ago. 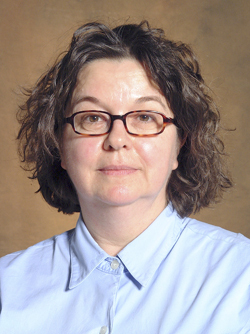 Head of the internal medicine unit and of the internal medicine ambulatory care unit (IMACU) since April 2015, Ms. Lyne Dussault has worked at Sacré-Cœur hospital since 1989. It was the members of the Direction générale adjointe du programme santé physique générale et spécialisée who unanimously recommended Ms. Dussault for this position and honour. 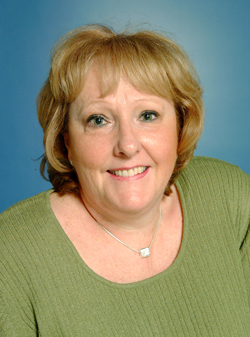 Ms. Dussault is remarkable by her commitment to providing quality care and services to our clientele. She also knows how to mobilize her teams in this direction. Working in close collaboration with her team members, she is always present and she listens. Another of her great strengths is that she recognizes the strong points of her staff members. A nurse by training, Ms. Dussault has occupied various posts at Sacré-Cœur hospital and has been unit head since 2005. Nurse, assistant head nurse, co-ordinator, and unit head are all jobs she has successfully performed. Also, Ms. Dussault has been involved in various committees related to her professional activities. She has been a member of the working committee on the optimization process of support for clinical directions with the LEAN approach since 2016. She was the representative of the Conseil des infirmières et infirmiers (CII) de l’Hôpital du Sacré-Cœur (nurses’ council) within the framework of the hospital board of directors from 2012 to 2015 and was a member of the support committee for succession planning of the CII from 2000 to 2002. She was an observer for the exams of the Quebec order of nurses from 2000 to 2010. A skilled communicator, Ms. Dussault regularly uses humour and knows how to rally the various players around common objectives. Truly loyal, Ms. Dussault always puts the common good before her personal interests. Ms. Dussault is a reference at the Sacré-Cœur hospital and always puts her knowledge and management expertise at the service of the establishment. A woman of heart, she is a sparkling example of professional generosity. 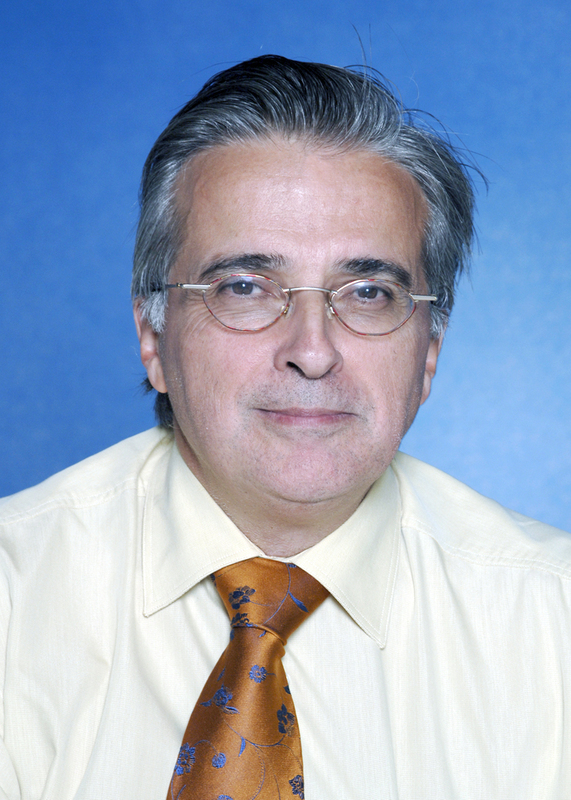 Dr. André Cartier joined the pneumologists team at Sacré-Cœur hospital in July 1980. He undertook a career as a clinical professor. 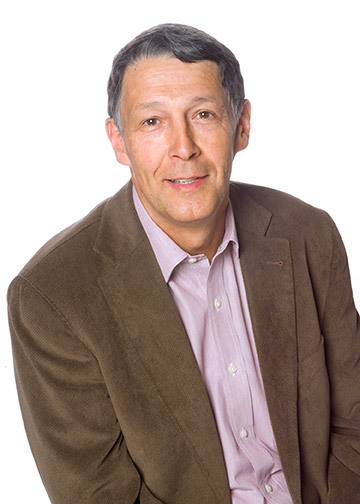 A full professor since 1995 and assistant clinical professor from 1984 to 1987 at the faculty of medicine of the Université de Montréal, Dr. Cartier participated in the training of many general practitioners and pneumologists. His approach is centered on the patient. 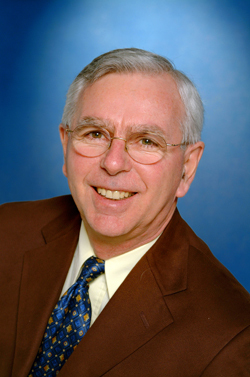 Dr. Cartier has been a regular speaker for over 30 years in Quebec and Canada, as well as abroad. His preferred fields are professional asthma, as well as asthma and hyperventilation syndrome. He has authored or co-authored 250 published articles. In collaboration with Dr. Jean-Luc Malo, Dr. Cartier a set up the professional asthma clinic, considered a global reference in the field. He has pursued the clinic’s activities with doctors Catherine Lemière and Alain Desjardins. The pneumologist has been a member of various committees, but he was also head of the pneumology service from 1995 to 2006 and head of the department of medicine from 2006 to 2009. Dr Cartier continues to work full-time although he has, as of a year ago, stopped being on call. He performed that function for over 40 years to the great joy of his patients. M. Pierre Fortier is an occupational therapist at the Albert-Prévost pavilion within the Direction de la santé mentale (mental health department) of Sacré-Cœur hospital. The occupational therapist, who retired from Sacré-Cœur hospital last September, worked at the hospital for 26 years. He will be the first to tell you how that role has changed over the years. He first worked at the outpatient clinic. Then, with the programs re-organization in 1994, he joined the outpatient clinic for young schizophrenics. Mr. Fortier then developed an innovative rehabilitation program adapted to the needs of young psychotic patients called, Programme d’intervention individuelle et de groupe multimodal (PIIGM) (individual and multimodal group intervention program) , that brought together elements of psycho-education, cognitive therapies for psychotic symptoms, development of social skills, and exposure and problem resolution strategies. While completing a master’s degree in psychology, the occupational therapist sets up a shutter of rehabilitation, including an individual follow-up and a structured group program, based on the cognitive-behavioral approach. This approach adapted to groups and to a clientele of young schizophrenics is an innovation that Mr. Fortier teaches to many interveners here at home and abroad. As of 2001, he is still assistant clinical professor in the occupational therapy program of the faculty of medicine of the Université de Montréal. He has guided students to higher learning who later worked with the clinic for young schizophrenics. 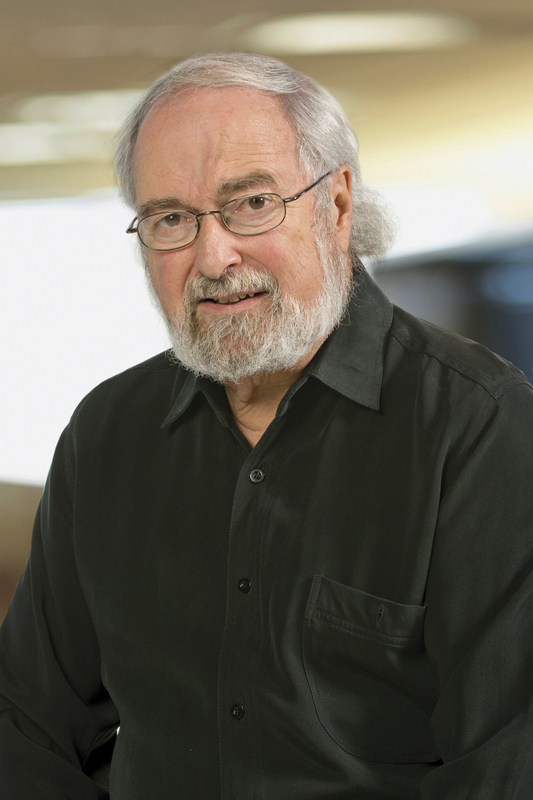 His contribution to the clinic, teaching, and research were highlighted in 2013 at the 40th anniversary of the affiliation of Sacré-Cœur hospital and the Université de Montréal. 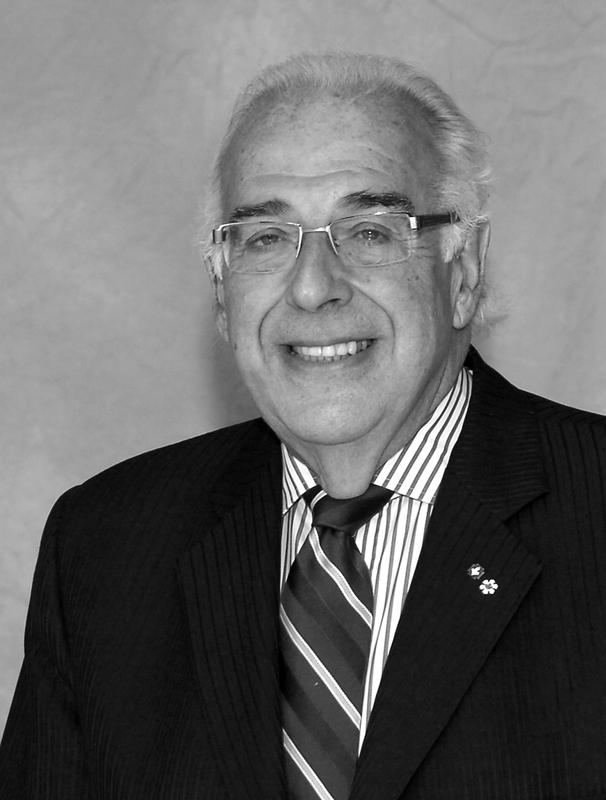 Dr. Jacques Monday has worked at the Service de la médecine psychosomatique et de consultation liaison (psychosomatic medicine and consultation service) for 39 years. He is one of its two first residents, beginning after the service’s official opening in 1973. He has always been passionate and preoccupied with the doctor-patient relationship and, from the time of his residency, he incorporated teaching into his everyday chores. He became a psychiatrist in 1975 and taught as an assistant clinical professor at the department of psychiatry of the Université de Montréal from 1976 to 1993. He has been a full professor since1993. Very attached to Sacré-Cœur hospital, Dr. Monday was the head of the Service de la médecine psychosomatique et de consultation liaison from 1992 to 1996. He has been involved with this establishment and sits on many committees (discipline committee, elections committee for officers of the Conseil des médecins, dentistes et pharmaciens, etc.). After having spent eight years as head of the Service de psychosomatique of the Cité de la santé, which he created, he returned in 1993 to dedicate all his time to Sacré-Cœur hospital. He has also had a full academic career. As a sign of great appreciation, students have nominated Dr. Monday as best professor every year, and won said prize a number of times. He has won many prestigious awards, the most recent being in 2013, the Marque de reconnaissance awarded by the Association des médecins psychiatres du Québec for excellence in his daily clinical work. As for the research side of his work, he most notably participated with doctors Jacques Montplaisir and Jean-Luc Malo in clinical research into the sleep and dreams of asthmatics. Since first coming to work in December 1980, Michèle Tremblay has shared her passion for the nursing profession. As head of the Unité des soins intensifs intermédiaires (intermediate intensive care unit), she has faced challenges throughout her career at Sacré-Cœur hospital. She has successfully rallied the various teams she has led to ensure patients receive quality care and services. She has been very attached to Sacré-Coeur hospital and its family medicine services for over 30 years. She is also very involved with the Université de Montréal where she completed her studies and still offers her contribution and expertise as a teacher. Since that day, she has never changed jobs, only units. She has always brilliantly executed the mandates she was given. 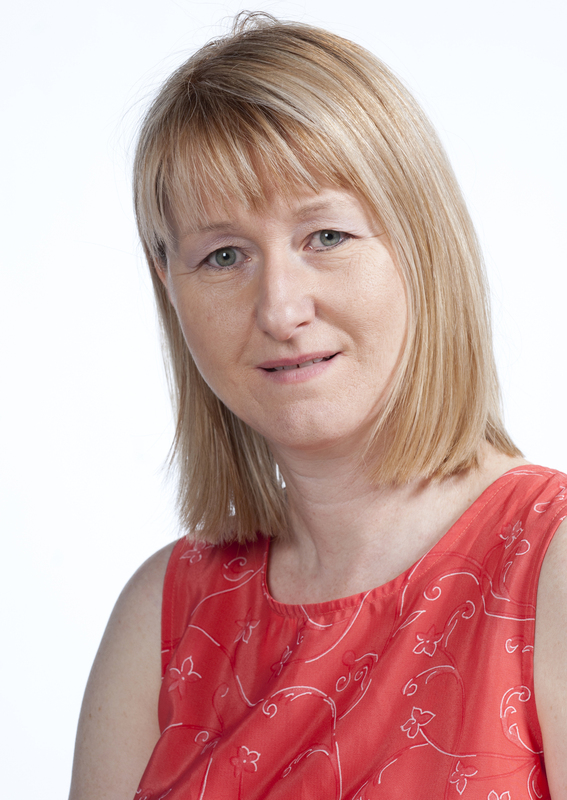 Over the years, she has developed a varied expertise having worked with a diverse clientele: medicine, surgery, critical and perinatal care, care for the elderly, and ambulatory areas. As of December 2013, she has been the head of the intermediate intensive care unit. The unit head also likes to transmit her knowledge through a sustained accompaniment of nursing recruits and interns and a willingness to incorporate best practices stemming from the latest research. She has taught nursing at the collegiate level. A woman with heart, she has used and relies on her human qualities to ensure adequate responses to the changing needs of the users. To her peers, Ms. Tremblay is without a doubt an ambassador and eloquent example of what mid-level managers do on a daily basis within the framework of their functions. This role of orchestra conductor is misunderstood, but vital in helping us face the complexity of the daily challenges of the healthcare and social services network. Her love of job, thoroughness, mobilizing leadership, humanist approach, team spirit, and mindfulness to always offer excellent care, as well as to see to the well-being of her team, made of her winner of an Émilie in 2014. Family medicine! That is Dr. Fabienne Grou’s speciality. 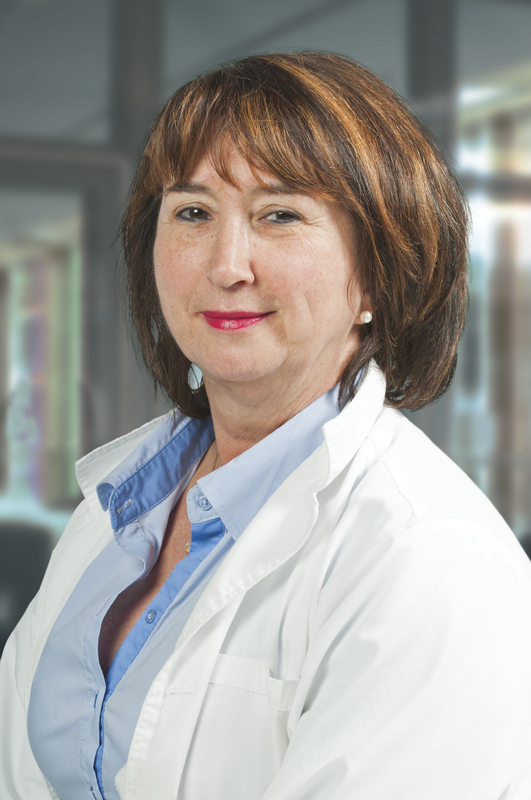 Throughout her career, Dr. Grou has sought to improve the health and quality of life of women. She has been very attached to Sacré-Cœur hospital and to its family medicine service for over 30 years. She is also very involved with the Université de Montréal where she completed her studies and still offers her contribution and expertise as a professor. Beyond teaching, Dr. Grou was also very much involved with research. She participated in the first world study published in 2001 in the American Journal of Obstetric and Gynecology, which prolonged the prescription of the “morning after” pill from 3 to five days. Dr. Grou was the head of the Service de médecine familiale of Sacré-Cœur hospital from 1988 to1991, head of the Département de médecine générale from1991 to 1999, and an executive of the Conseil des médecins, des dentistes et des pharmaciens (council of doctors, dentists, and pharmacists) for four years. 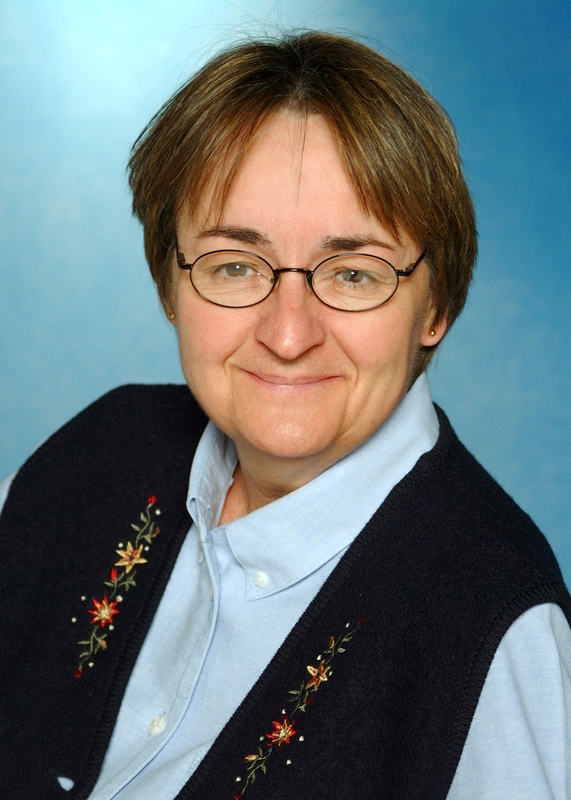 A clinical nurse for over 30 years, Sylvianne Labrie is specialized in treating wounds and stomotherapy as of 2006 also. Interested by the field, she participated in a number of training activities. She quickly became recognized by all professionals for her exceptional abilities, her thoroughness, and her leadership. The reputation she acquired working at Sacré-Cœur hospital precedes her outside the walls of that establishment. Conferences, presentations, publications and participation in research have won Ms. Labrie the recognition of her peers and identified her as an invaluable resource person. More recently, Ms. Labrie collaborated in the implementation of a clinical pathway for patients in arthroplasty. Due to her broad clinical knowledge of products for treating wounds, she proposed a new type of bandage, which contributes significantly to better recuperation in the post-operative period. Without Dr. André Proulx, Sacré-Cœur hospital would never have obtained its university status. He was persistent and persuasive in convincing people of the need to develop teaching and research within the walls of the establishment. The result was anything but a certainty at the outset. This operation of seduction, the doctor conducted while seeing to his many regular clinical activities as head of the cardiology service for 15 years and simultaneously head of the department of medicine for 13. The affiliation of the university and the hospital necessarily resulted in the creation of the research centre. 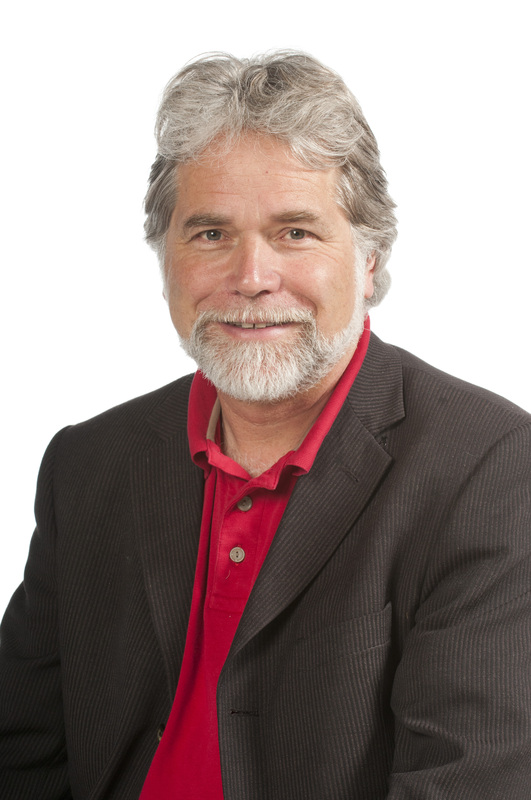 For his part, Dr. Réginald Nadeau is the founder of the Centre de recherche. He assumed its management from 1977 to 1997. Under his governance, the centre developed a rich expertise in a variety of fields and allowed the hospital to become a university health centre affiliated to the Université de Montréal. We must also point out that Dr. Nadeau created a clinical research unit and an electrophysiology laboratory where a great many Quebec, Swiss, and French specialists were trained. At the Université de Montréal, he co-founded the Groupe de génie biomédical (biomedical engineering group) and the Groupe de recherche sur le système nerveux autonome (autonomic nervous system research group). A specialist with 37 years in the study of kidneys, Dr. Clément Déziel is dedicated to the Service de néphrologie. He is recognized not only by his peers, but also outside of the hospital. Amongst his most remarkable exploits, Dr. Déziel obtained ISO 9001: 2000 certification in 2007 for a pre-dialysis clinic, a first in North America. In 1995, he managed to wrangle a $250,000 grant from the Fonds de soutien à l’innovation of the ministère de la Santé et des Services sociaux (department of health and social services) for implementing the first nocturnal home haemodialysis unit in North America. Wanting to see his favoured domain move forward within the establishment, Dr. Deziel took on many administrative responsibilities. He was head of the Service de néphrologie of the medicine department from 1989 to 1996. He was responsible for the scientific meetings of the Service de néphrologie during this same period and was assistant head of the department of medicine from 1989 to 1997. Dr. Clément Déziel is a veritable source of inspiration and renders great services to the community by participating in the evolution of his field of specialization and sharing his knowledge so that others may offer patients the best possible care. 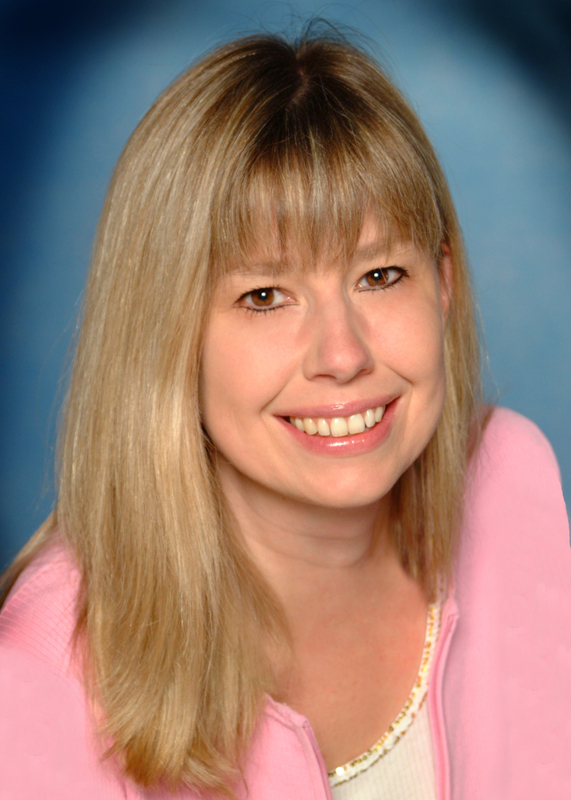 Lisa Jane Callow has been a nutritionist specialized in critical care at the hospital since 1998. Since she began working at the hospital, Ms. Callow has contributed to the development of nutritional care in the intensive care sector. She simply adores this discipline as she is still impressed by the fact that her work allows the sickest patients to return to a reasonable level of health. Nutrition is now seen not only as an element to consider, but also as an integral part of the treatment arsenal. The nutritionists work as a team with the intensivists, nephrologists, microbiologists, nurses, pharmacists, nutrition technicians, etc. Amongst her major achievements, Ms. Callow set up the Nutrimax project, a project based on collaboration and interdisciplinary links to improve nutritional support practices in critical care. The Nutrimax team bears witness to the fact that nutrition is a concern for all players not only nutritionists. Ms. Callow has written many published works and has often been interviewed on radio and television, and has been the subject of magazine and newspaper reports. 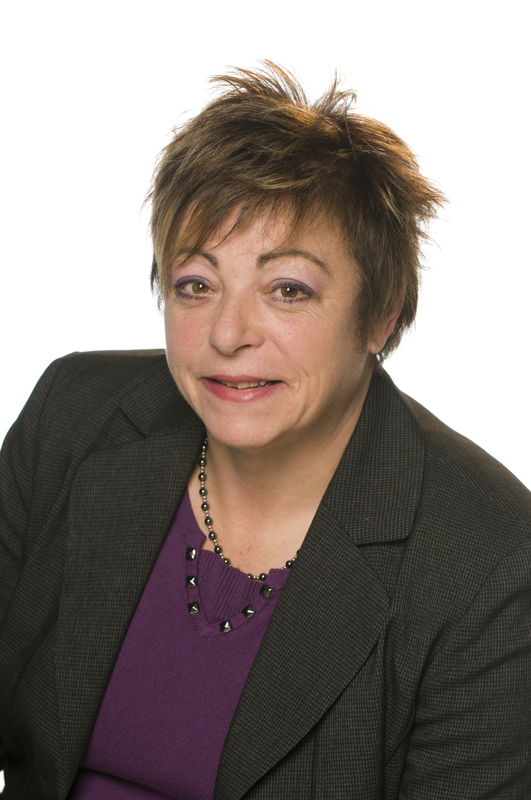 She has also been guest-speaker at conferences in Italy, France, and the U.S.
For 10 years running, Ms. Chantal Lord, President of the Fondation Gérald S. Lord, organizes a golf tournament on Montréal’s north shore whose profits are entirely donated to the MSCHF and remitted to the Fonds d'hématologie-oncologie de l'Hôpital du Sacré-Cœur de Montréal. The Lord family’s fundraising activity has collected over $350,000 since 2004. Other events are organized annually to this same end. This woman holds a very special attachment and admiration for the doctors and medical personnel at Sacré-Cœur hospital because her father Gerald lived his last days there. 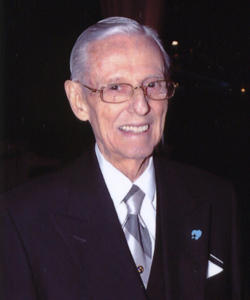 This influential businessman worked in the retail food industry under the IGA banner and was treated for cancer by Dr. Roxanne Pichette and her team. He later died of his illness in 2002. Wanting to do her part and continue fighting the terrible disease that took her father, and in memory of him, Ms. Lord created the Fondation Gérald S. Lord in February 2004. For this businesswoman, creating a foundation in her father’s name was a concrete way of realizing one of her father’s wishes, namely, that of supporting the work of Dr. Pichette and her team. From the very day of his arrival at Sacré-Cœur hospital, Dr. Alain Verdant began developing expertise in intra-thoracic vascular surgery, more specifically, in descending thoracic aorta surgery. Realizing the many dangers facing poly-traumatized patients struck by intra-thoracic aneurysms, Dr. Verdant developed a modern operating technique now recognized throughout the world that make of him an authority and leader in his field. Very much aware of the importance of transmitting knowledge to medical students and, especially, of allowing them to know of the latest developments in the field of pathology in regard to cardio-vascular and thoracic diseases, Dr. Verdant got involved very early at the academic level by occupying the position of assistant clinical professor from 1974 to 1979, of associate clinical professor from 1979 to 1990, and of full clinical professor from 1990 to 2008 at the Université de Montréal. Dr Verdant is a symbol of determination who will surely take up the many challenges he will face in the years to come. Ms. Bérubé stands out by her remarkable work on the development of nursing care and, more specifically, by the advancement, recruitment, and retention of nurses at Sacré-Cœur hospital in the critical care and trauma sectors, as well as in hospital centres in Quebec and Canada, and by her participation and involvement in various programs. A few high points of this nursing care counselor are worthy of mention, including setting up a residency program for nurses specializing in critical care and a program to make it easier for nurses to obtain certification in intensive care from the Canadian Nurses Association. Recognized by her peers for her devotion and professionalism, Ms. Bérubé remains a precious asset for the Hôpital du Sacré-Cœur de Montréal. The people close to Mr. Pierre Jarry whom we asked to tell us about this man of heart and courage, most often used the word “builder” to describe him. And appropriately so, because not only are the construction businesses he directs entirely the result of his individual efforts, but also because the charitable acts he continues to perform under the Œuvres Pierre Jarry banner are imposing and inspire the greatest respect. Through his many contacts with the medical specialists at Sacré-Cœur hospital, Mr. Jarry met Dr. Pierre Ranger who progressively made him aware of the crying need for specialized equipment for the orthopedic service. 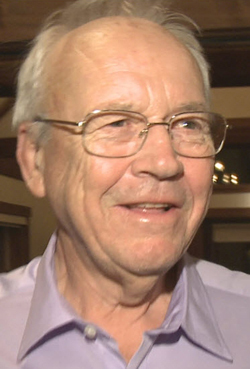 It suddenly dawned on Mr. Jarry that he could organize a fundraising golf tournament. All the activity’s profits are remitted to the Fondation de l'Hôpital Sacré-Cœur de Montréal, which then decides where to allocate the funds for the purchase of high-tech orthopedic equipment including a surgical bow-loop-arch. Mr. Jarry is a man much appreciated by his peers, and also a very endearing one. If the gala of philanthropic vocation that you all now know as the Gala rendez-vous des Émilie exists, it is in great part thanks to Mr. Maurice L. Déry. 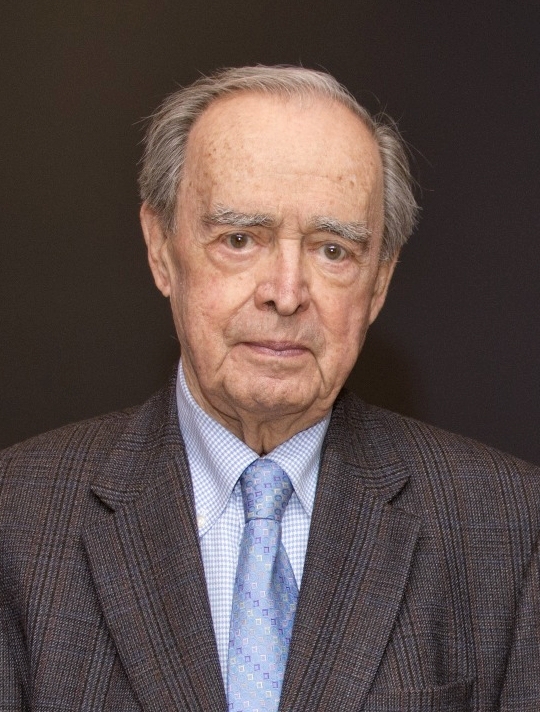 Known for his distinctive qualities as a visionary and tireless worker, Mr. Déry was the initiator and long-time conductor of this major event of the Montréal Sacré-Coeur Hospital Foundation (MSCHF). The vast majority of those having crossed the path of Mr. Déry within the framework of his activities dedicated to the well-being of others up to his death in June 2010 are unanimous: Mr. Dery was a born solicitor. In this way did he persuade Mr. Louis A. Tanguay to be the event’s first honorary chairman in 1992. We are also indebted to Mr. Déry for having convinced Mr. Jacques A. Corbeil to generously make the first major donation to the tune of $1,000,000 to the MSCHF. 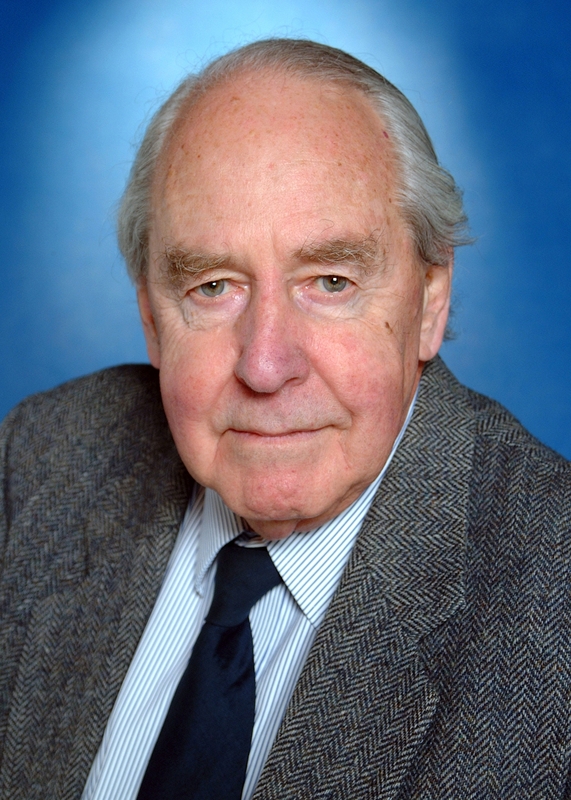 Mr. Déry further occupied various functions within the board of directors of the MSCHF for 20 years. During this period, he created the Bureau des gouverneurs (governors’ office) and became its president. He holds within the foundation the highly appropriate title of Honorary President for Life. The exceptional path Dr. Jean-Luc Malo has followed has made of this reputed pneumologist a researcher recognized by his peers at the Sacré-Cœur hospital, as well as on the national and international stages. Dr Malo has worked at Sacré-Cœur hospital for almost 35 years. 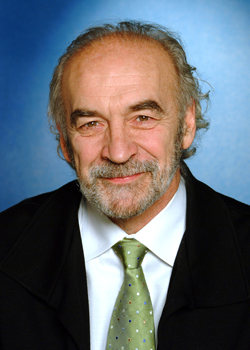 After finishing his studies and training as a pneumologist in 1974 at the Université de Montréal, Dr. Malo went on to complete his post-doctoral training in clinical research at the Brompton Hospital in London. He then joined the team at the Service de pneumologie of our hospital. He has been guest-speaker at many national and international conferences. He co-edited the book, Asthma in the Workplace, which has become a major reference on professional asthma. 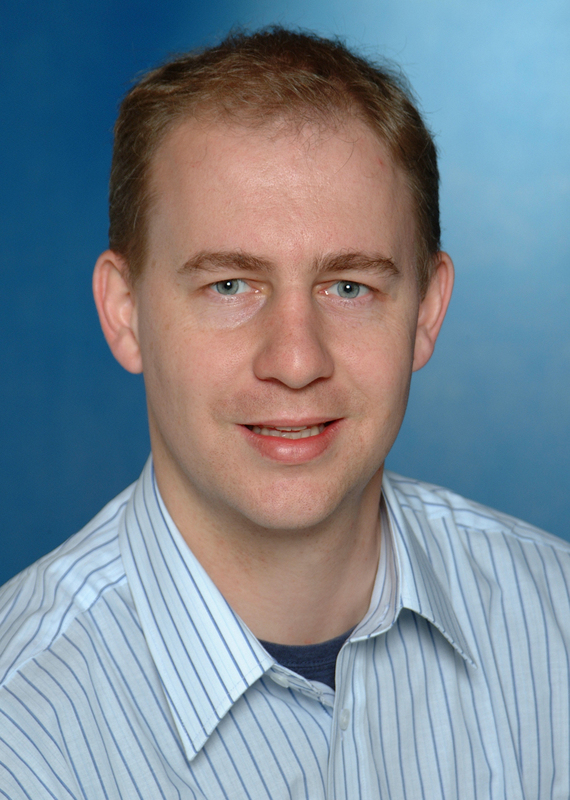 He is the author of an impressive number of published articles in specialized publications. Very committed to his community and a volunteer at heart, he was nominated member for life of the Association pulmonaire du Québec for his involvement with this organization. Ms. Suzanne Deschênes Dion is a medical lab technologist in charge of blood transfusion safety. 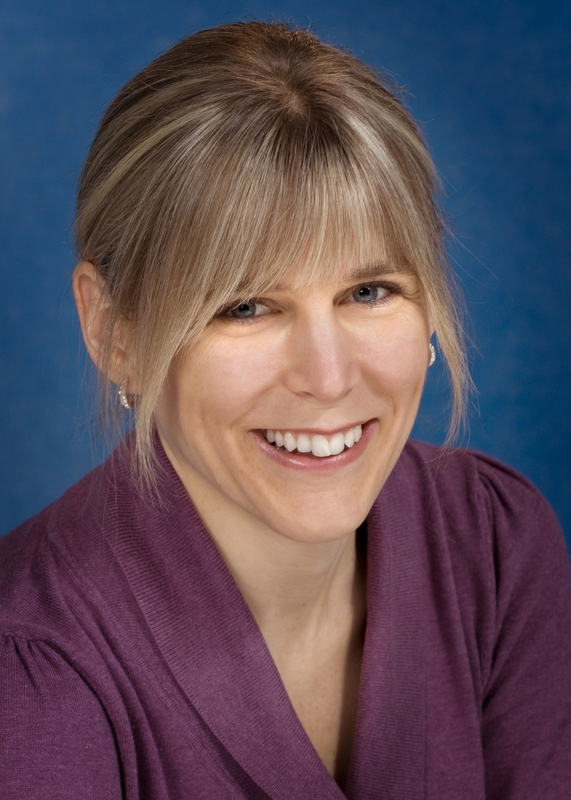 Ms. Deschênes received the 2009 and 2010 prestigious Prix de fierté professionnelle A.R.Shearer (professional pride prize), bestowed by the Canadian Society for Medical Laboratory Science. Since 1998, the award celebrates leaders among medical lab technologists and highlights their devotion and excellent work. Ms. Deschênes Dion completed her studies in medical technology in 1971. She received a supplemental diploma in hematology in 1990. She has worked within the Comité multidisciplinaire of Sacré-Cœur hospital for eight years. A much sought-after lecturer, Ms. Deschênes Dion is regularly invited to make presentations during scientific days or congresses. She is a keen ambassador for the medical laboratory profession. Mr. André Bérard did phenomenal work within the framework of the major fundraising campaign for the benefit of the future Centre intégré de traumatologie (integrated trauma centre) of Sacré-Cœur hospital. This great philanthropist succeeded in convincing influential business people to help attain, with their contributions, the objective of $10 million in less than a year. A business manager today, Mr. Bérard has an impressive resumé in the banking and business world. Tireless volunteer, Mr. Bérard, in a difficult economic context, was able to deftly steer a major fundraising campaign for the benefit of the integrated trauma centre. He not only brilliantly presided over the prestigious campaign cabinet, but he also managed to inspire the other members of the team. Not everyone can be an honorary member. To acquire the title, you must bring a contribution of exceptional quality to our Foundation. Members of the MSCHF’s board of directors having heard of this great lady’s passing quickly announced their intention to express the gratitude owed this seasoned businesswoman. She was manager of the foundation from 1985 to 2004, the year she was named honorary member. In 1989, the first MSCHF fundraising campaign was organized to collect funds for the expansion of the research centre (Phase II), the acquisition of a nuclear magnetic resonance apparatus, and the purchase of medical equipment. Then Prime Minister, Robert Bourassa, and Ms. Jeannine Guillevin Wood acted as honorary co-presidents of this major historical campaign. Dr Jacques-Yves Montplaisir: an exceptional man! For over 35 years, Dr, Montplaisir has given of his expertise and knowledge in the service of the hospital establishment by accomplishing great things. As well as practicing as a psychiatrist at the Service de médecine psychosomatique et de consultation-liaison for many years, Dr Montplaisir is busy as the director of the Clinique des maladies du sommeil (sleep disorders clinic) and is responsible for research in geronto-psychiatry at Sacré-Cœur hospital. He is an internationally recognized authority on the subject. Amongst his greater realizations, we can count his founding of the Centre de recherche sur le sommeil et les rythmes biologiques (centre for research in sleep and biological rhythms) of Sacré-Cœur hospital. He also participated in drafting the first list of sleep disorders with over 100 illnesses. 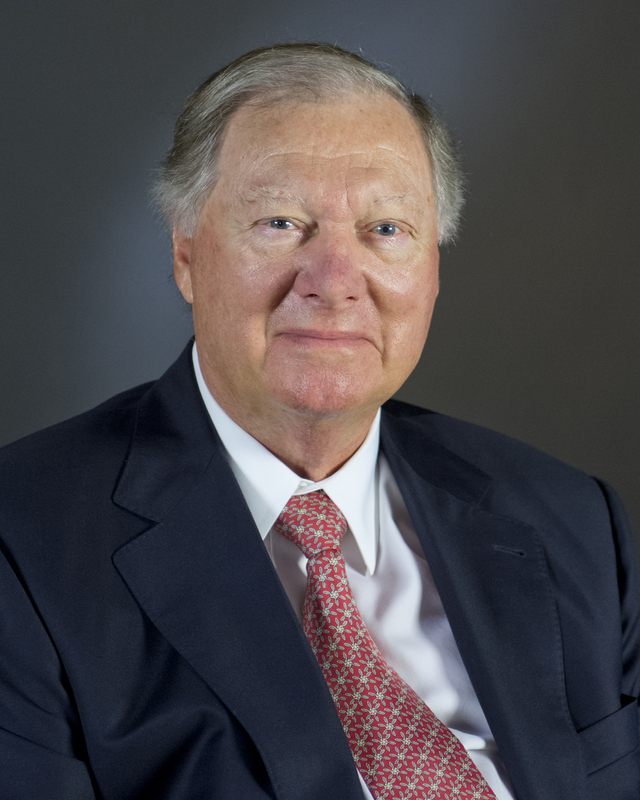 The Center for Advanced Research in Sleep Medicine (CARSM), of which he was director, has borne witness to the advances made thanks to this great doctor. Counselor in infection prevention since 1992, Ms. Bigras was already aware of the importance of infection prevention well before the question became a daily preoccupation in all medical health establishments. Member of Sacré-Cœur hospital staff since 1974, Ms. Bigras was head nurse in emergency when she began to take a closer interest in this aspect of medical health. It is her curiosity and persistence that allowed her, shortly after her arrival in her new job, to notice the presence of bacteria, the acinetobacter anitratus, that caused pneumonia in an important number of patients. Ms. Bigras is a pioneer in her field. Every day, she demonstrates that it is possible to be a committed and honest professional who shares her passion and conviction with her collaborators.